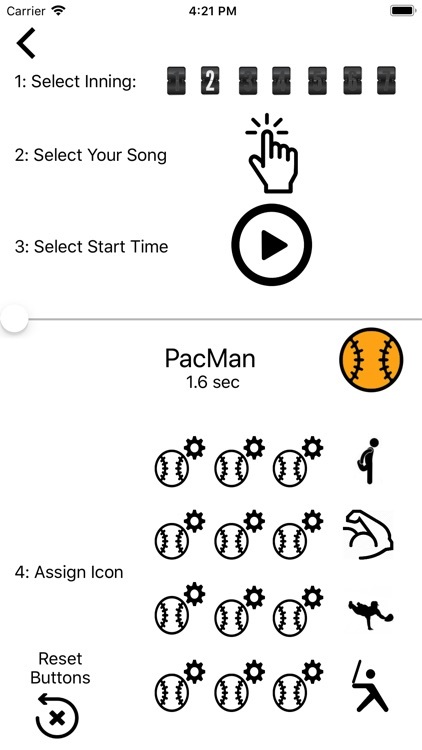 This app will help you animate your kid's games. 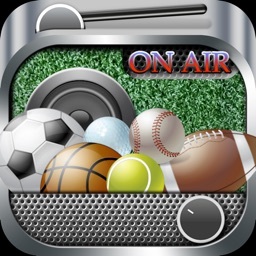 You will become the Game DJ of the stadium and set the ambiance. 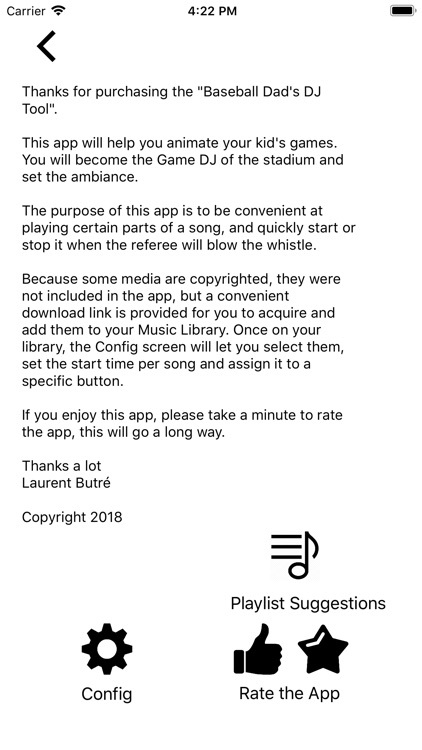 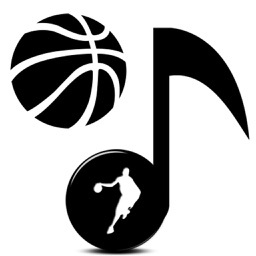 The purpose of this app is to be convenient at playing certain parts of a song, and quickly start or stop it when the referee will blow the whistle. 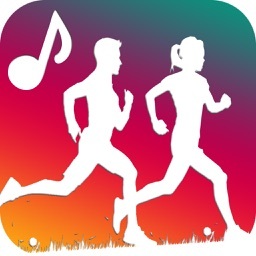 Because some media are copyrighted, they were not included in the app, but a convenient download link is provided for you to acquire and add them to your Music Library. 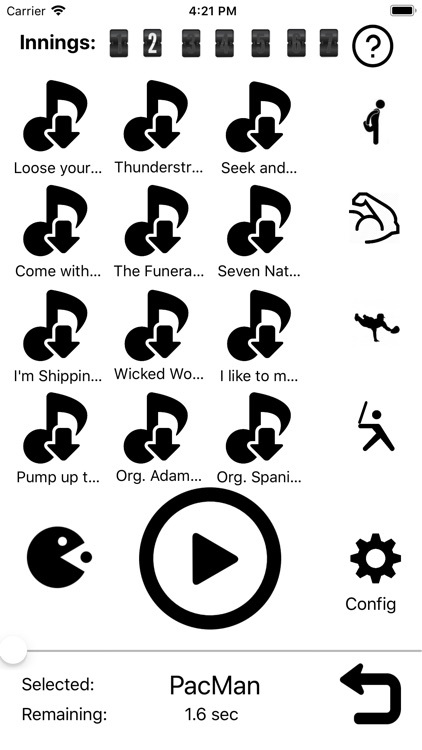 Once on your library, the Config screen will let you select them, set the start time per song and assign it to a specific button. 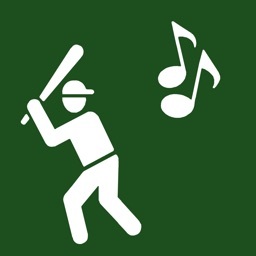 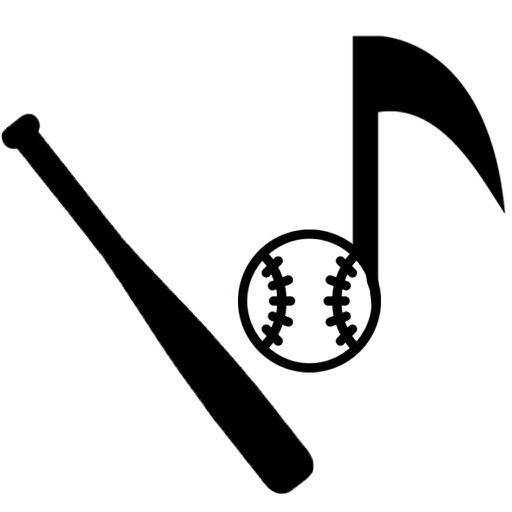 You can configure songs for the 7 innings. 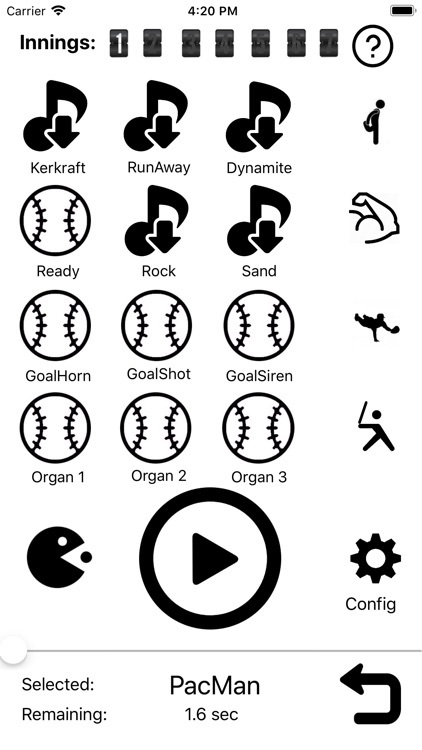 Each 84 buttons are customizable. 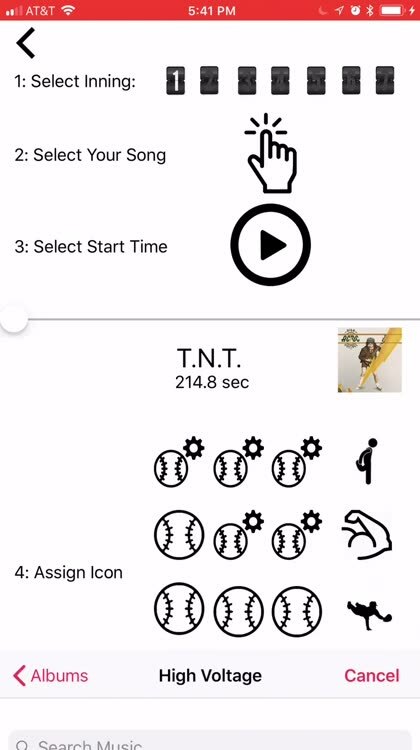 The best part is that you can select where the song should start at. 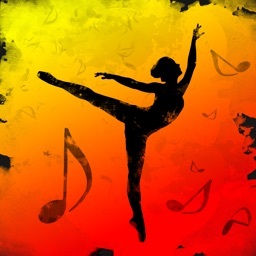 Disclaimer : Copyrighted songs are not included in this App.